To apply for a password, ring the Library during opening hours or email us. If e-mail is used, type in your full name and library card barcode within the main body of the message. You will be given a temporary password which must be used for your initial login. With your temporary password, go to our Home Page, click 'My Library Account' on the left navigation menu, or 'My Account' on right navigation menu. Alternately, choose 'Our Catalogue' from the left menu or by clicking on the 'Our Catalogue' button on the top navigation banner and selecting 'My Account' from the Catalogue banner. Follow the instructions to choose your own password. Should you forget your password, apply for a new one by repeating the process. Click 'View/Renew Loans' to access this option. Click the 'Help' button on top of the 'View/Renew Loans' screen for an explanation of the screen display information relating to the loans. This is only permitted if there are no reservations against an item. To renew an item, click 'View/Renew Loans', find the item on the list and click 'Renew'. The new due date will be displayed (you may need to scroll down to see it as renewed item will appear on the bottom of the list). For more information click the 'Help' button on top of the 'View/Renew Loans' screen. Inter-library Loans cannot be renewed online. Telephone or email the library and the staff will request an extension from the lending library. Click 'Reservations' to access this option. For a detailed explanation of the information displayed on this screen, click the 'Help' button on top of the 'Reservations' screen. For an explanation of how fees for overdue material are calculated, click the 'Help' button at the top of the 'Fines' screen. On the Home Page, click 'Our Catalogue' in the left menu, or 'Search: Our Catalogue' in the top banner. The Keyword Search option will be displayed. Click the arrow to view and use the search options in the dropdown menu. Click 'Advanced Search' to narrow down your search by type of material, date of publication and other options. The Library Catalogue page has a 'Help' option on the top banner. This provides extensive search tips and guidance on how to use the catalogue. Search the library catalogue to establish the item's availability. If the item can be reserved, the word 'Reserve' will be displayed on the screen. Click this link, enter your library card barcode and your password, and click the 'Reserve' button. Items that are on a library shelf (Available) at the time of search cannot be reserved. Also on the top banner is a 'New Stock' link. Select this option to view the list of recently acquired items which is updated weekly. Items of interest can then be reserved online. Click 'State Library of WA catalogue' on the Home Page's top banner to access this important tool, as well as other information about SLWA. This catalogue not only records items housed in the State Library, but also a large proportion of the material held in public libraries of the Perth metropolitan area and throughout the state. The Home Page links, 'About the Library', 'Information for Borrowers', 'Our Services', 'Our Collection' and 'Local Studies' all provide information about the Bassendean Memorial Library, including its operation, services, collections and rules. These are free for members of the library. From the Home Page's top banner, click 'Britannica Online', 'Health & Wellness Database' or 'EBSCO Databases', follow the link and enter the barcode on your library card to gain access. 'Our Services' on the Home Page includes some information about these databases. Click 'Links and Databases' on the Home Page's left menu. A range of subject areas will be displayed, the selection of which will direct you to agencies, organizations and other sources that specialize in those fields. On the Home Page, click 'Other Library Catalogues' on the left navigation menu. Links to the websites of other libraries in Australia will be displayed, with the emphasis on Western Australian organizations. 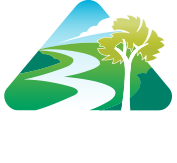 From the left menu of the Home Page select 'Town of Bassendean Home' or 'Bassendean Historical Society' to access their websites.